It gives us great satisfaction to be able to return some of our gratitude to the society of our hometown who has given us so much and we are looking forward to many more seasons of offering nice music and lessening the burden for the disvavoured of our society! Thank you to all our friends and colleagues who are participating and who are supporting us altruistically in this ongoing endeavour. It would not be possible without you! 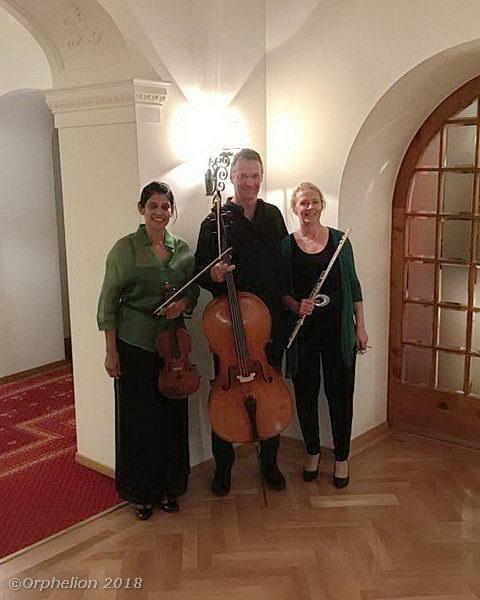 Berthold Hamburger was born in Munich, where he studied from 1984-1987 cello with Heinrich Klug and singing with Ingrid Bettag at the Richard Strauss-Conservatorium. During this time and until 1994 he collaborated with the Bavarian Radio Orchestra and the Munich Philharmonics under the baton of Sergiu Chelebidache. A nice and apreciative audience accompanied us during an unusual and rewarding program featuring Beethoven's Septimino which Nico played admirably on natural horn, Nielsen's "Serenata in Vano" and the largely unknown septet of Adolphe Blanc. Many thank's to Carlos and Alba of ENCLAVE for a perfect organisation and a great experience and we are looking forward to be back soon! It was very enjoyable to perform again with my sister, Stephanie Hamburger. Nice music, nice audience and thanks to the generous audience we could help "Cocina económica La Coruña" with the earnings of the evening. We are looking forward to our next concerts together in Switzerland later this year. We are very excited and looking forward to our next concert in Real Acadmia Galega de Belas Artes La Coruña on 15th of March at 20h. After 20 years we will perform again in La Coruña with my sister Stephanie Hamburger. The program is very interesting, including 2 largely unknown pieces - Eugène Walkiers' Grand Trio op. 35 and Alexander Tcherepnin's childrens trio from 1960 - and Vivaldi's concerto in g-minor RV 103. In the last few years we have been able to coordinate our schedules and will be able to increase our performances in the future. Many interesting projects are being planned for the next few years, including recordings and editions of our own arrangements. 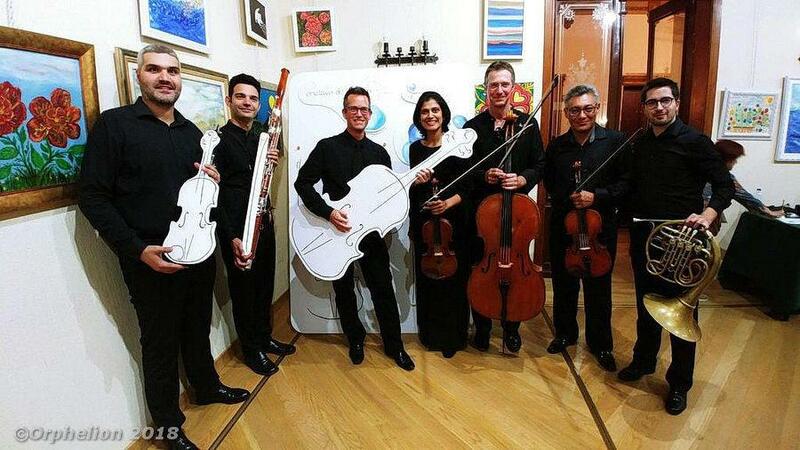 We very much enjoyed our performance of Nielssen Serenata in Vano and Beethoven septet that took place at the Real Academia Galega de Belas Artes in La Coruña. 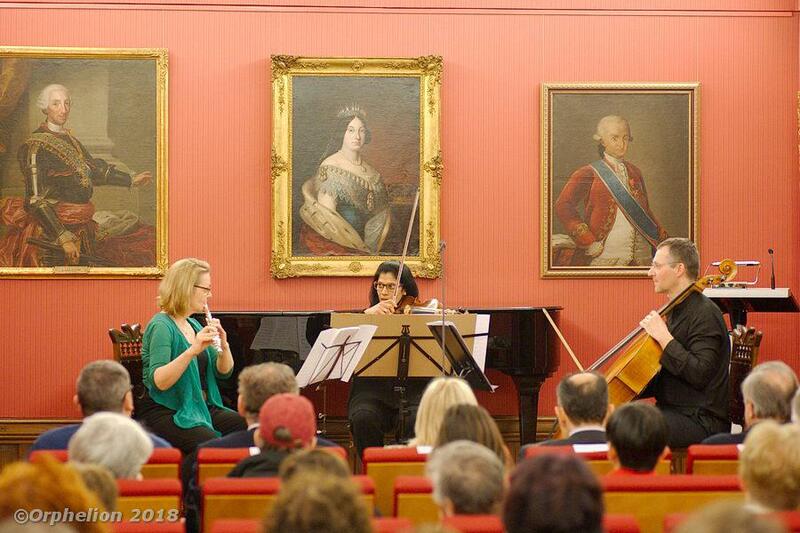 This concert was part of our charity chamber music cycle. We had a very appreciative audience and could donate the earnings of the concert to the Asociación Parkinson Galicia - La Coruña. Incidently this was the first concert we played under our new name ORPHELION.